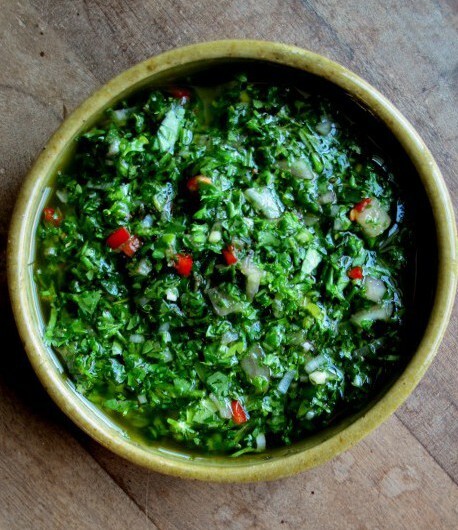 Arguably the national sauce of Argentina, chimichurri is the perfect accompaniment to any steak dinner. A fresh and piquant sauce, chimichurri and steak are truly a match made in heaven! Whilst similar to a regular salsa verde, don’t be fooled by appearances. Chimichurri is, in fact, far more robust and complex than its Italian counterpart. The key to a killer chimichurri is the addition of fresh oregano, which sets it apart from many other herb-based sauces. Only a small amount is added, but the oregano adds quite a punch, giving the sauce an earthy depth that cuts through the ‘freshness’ of the parsley and coriander.